One rotisserie chicken, five delicious meals. 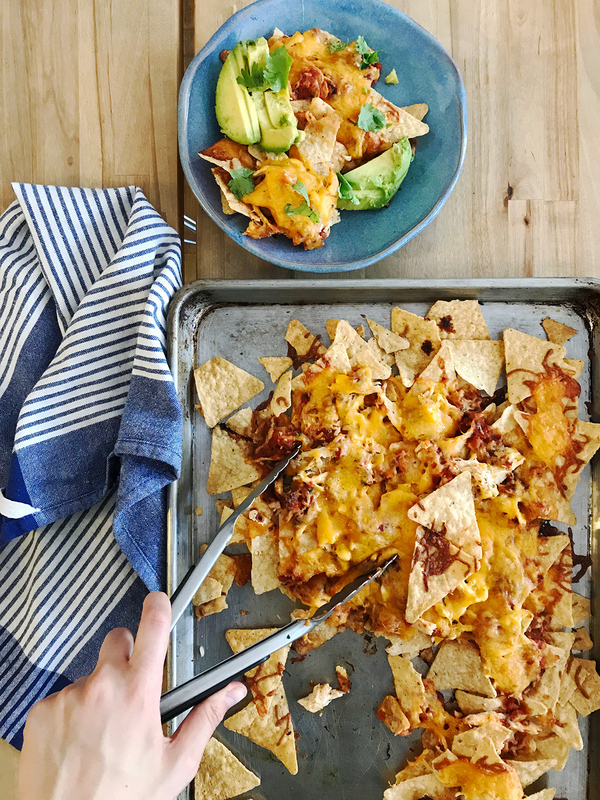 BuzzFeed's food crew is always trying new recipes, routines, and meal prep ideas — and we decided it was time to start sharing some of them with you. Each month, we'll ask a different staffer how they'd tackle a week's worth of dinners for $30 or less. Hey! I'm Marie. I cook a lot but often have a hard time meal planning. I'm pretty spontaneous with dinner plans and will often decide last minute that I want to try a new recipe I saw somewhere. I also hate repeating the same meals over and over again. All this means that I'm typically not very smart or budget-conscious about the way I cook and plan my meals. When I was asked to plan a week for dinners for $30 or less, I thought it'd be a good challenge and a way to improve my meal planning skills. Off the bat, my biggest challenge was figuring out my protein source. I like meat and wanted some in my meals — but it's often the most expensive thing on my grocery list. I needed to find a protein that wouldn't be too expensive but would also be versatile enough to work into several different meals. The solution? A rotisserie chicken. My local Brooklyn market sells whole rotisserie chickens for $8. I figured: They're delicious, they're big enough to feed me for multiple days, and they're also already cooked which means much less prep work. I checked the products prices online to get an estimate and make sure I wasn't going over budget. 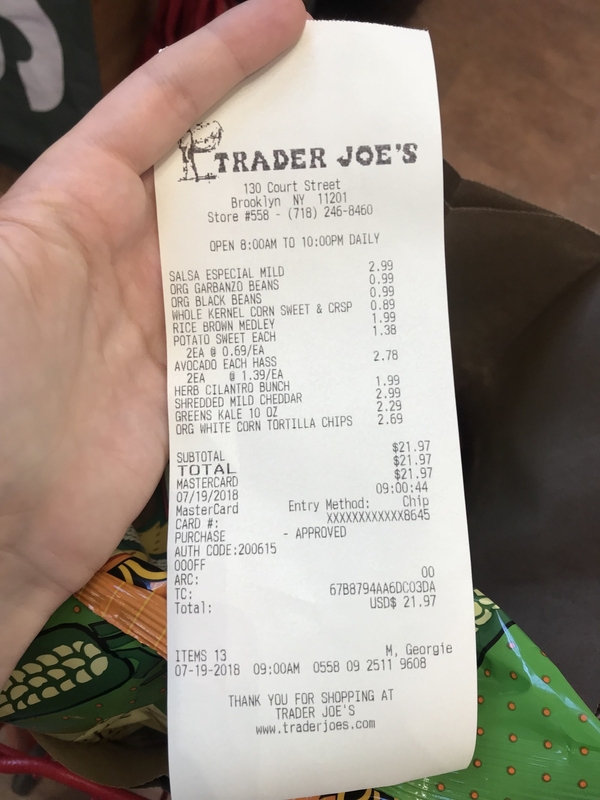 I ended up spending almost exactly $22 at my local Trader Joe's* for the rest of the groceries. I was pretty proud of myself, I have to say. *Trader Joe's is pretty much the cheapest option in New York City, or at least in my neighborhood. However, they don't however accept coupons, so you could likely get the same products for less elsewhere in the country. I based the order of the recipes on the freshness of the ingredients. (In particular: the chicken.) I wanted to eat the dark meat first since it's the juiciest and the part that deteriorates the most after a few days. I kept my vegetarian meal for Friday since I didn't want to eat the chicken more than four days after I bought it. For the purpose of this challenge, I decided not to use any of the pantry items I already had at home and to stick to only my grocery items. I did make a few exceptions, though: Olive oil, balsamic vinegar, salt, pepper, and spices. 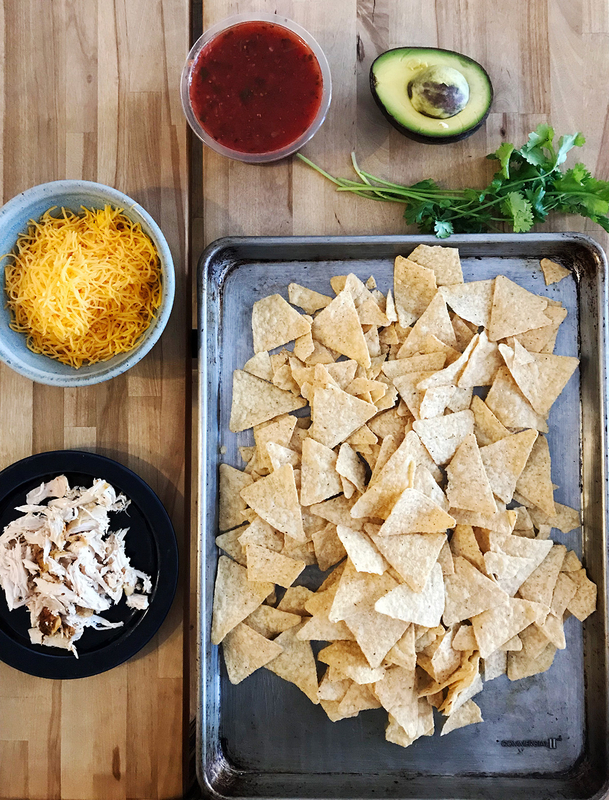 After I laid out all of my ingredients, I decided to do a bit of prep in advance to cut down the cooking time every evening. 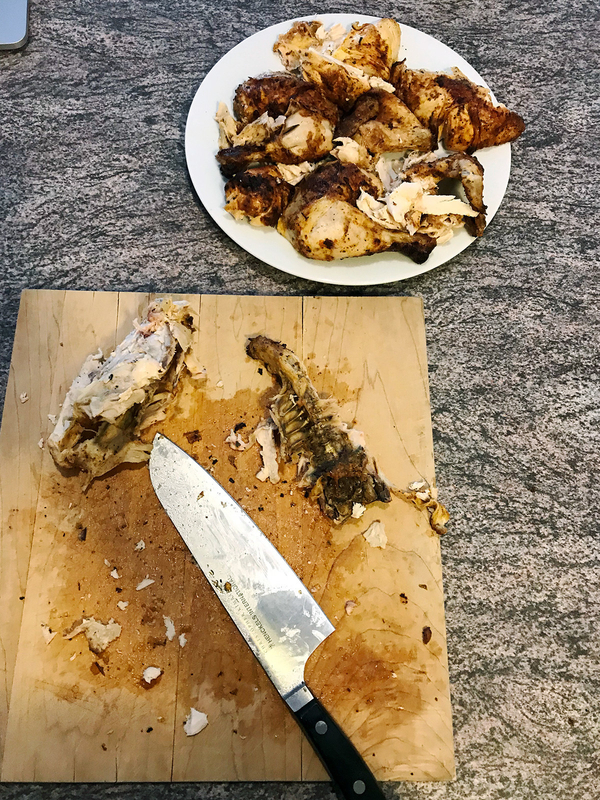 I carved the chicken to separate the dark meat from the white and to decide which parts I'd use for each meal. 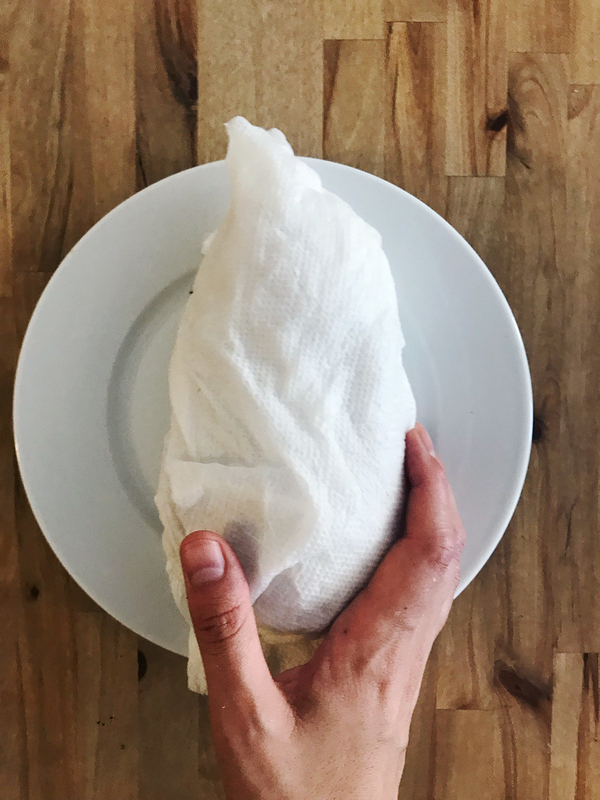 The dryer parts of the white would be perfect for the recipes involving shredded chicken (nachos and taco bowl), while I kept the brown meat for the first two meals. I also prepped some of my sides. 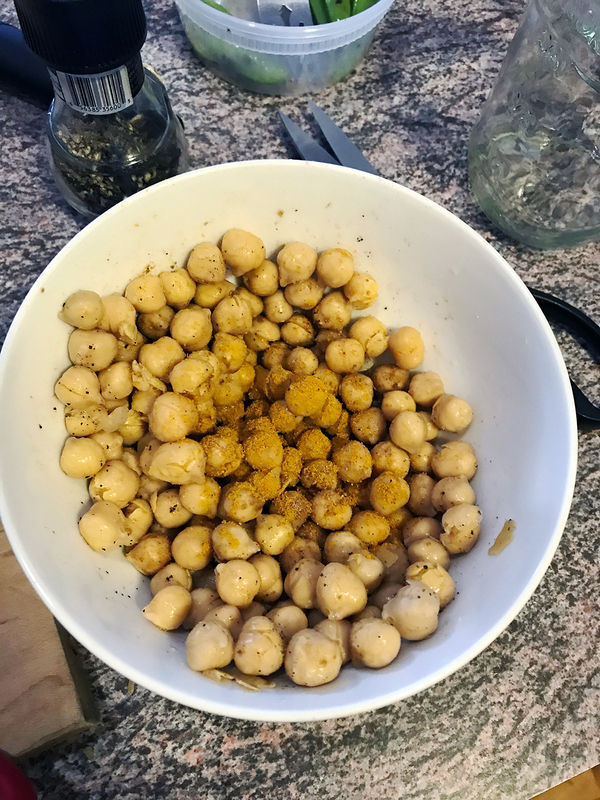 After draining and rinsing the chickpeas, I mixed them with some salt, cumin, and coriander in a bowl. I then cooked them with a bit of olive oil in a cast iron until crispy. 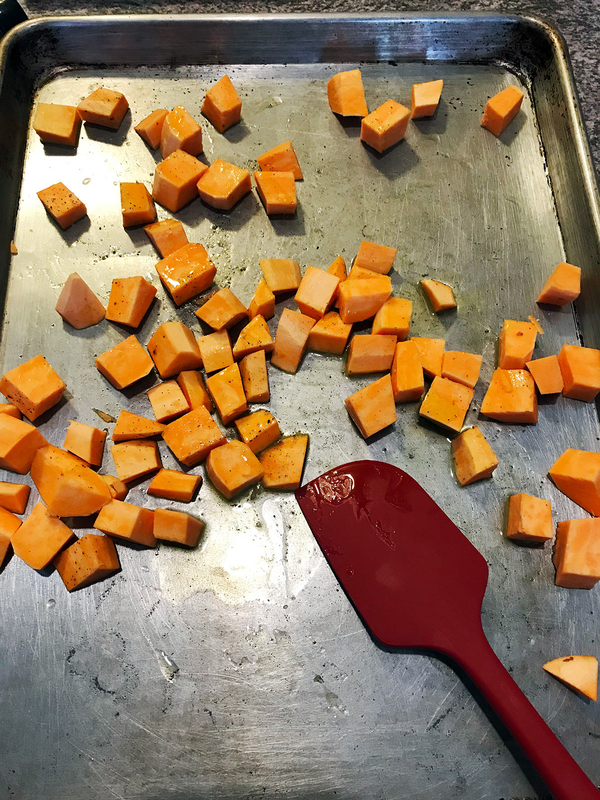 I also peeled and cubed one of the sweet potatoes and roasted it with some olive oil, salt, and pepper for 30 minutes at 400°F, making sure to stir a couple of times throughout the process. Last but not least, I cooked the rice which would serve as a base for the salad and the taco bowl. The whole prep took about an hour total and it made a huge difference in the prep time later in the week. First up: Chicken thighs! Since the dark meat is really the star of the meal here, I decided not to complicate things and just quickly sauté some veggies as a side. 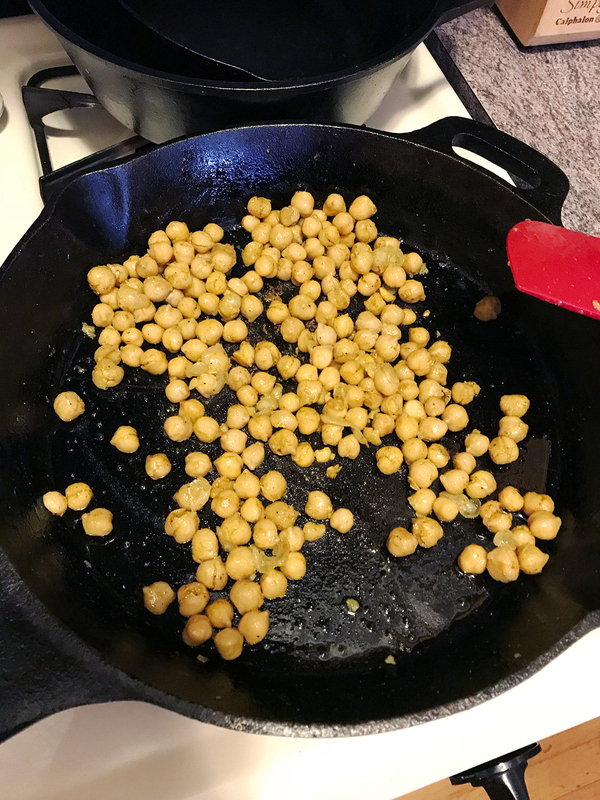 I warmed up my already-prepped sweet potato and half of the chickpeas with a bit of olive oil in a cast iron pan. 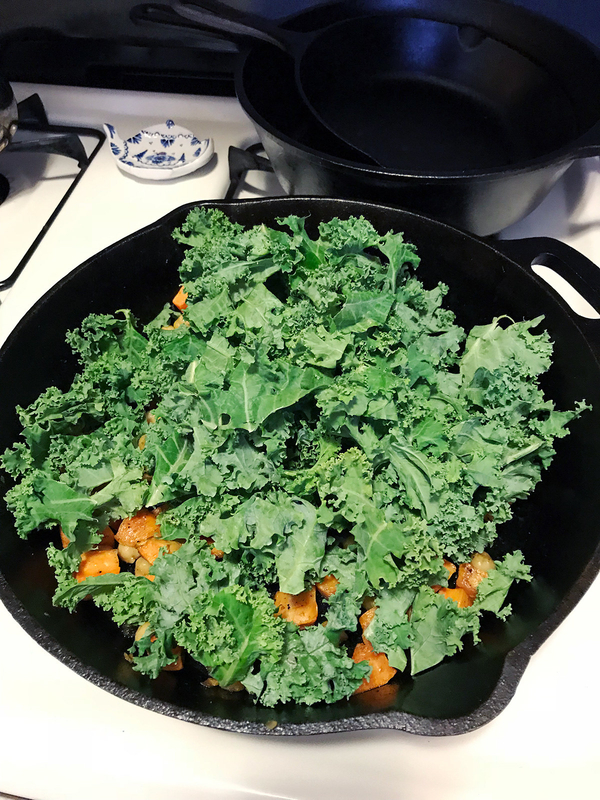 Once those were warm, I added the kale (I kept half of the bag for the next day), seasoned with salt, pepper, and some red pepper flakes, and sautéed the whole thing until the kale had wilted but still kept a bit of a bite. I served the veggies with a thigh and a wing I had warmed up in the microwave. The whole thing took 20 minutes tops and the result was a really balanced and delicious meal. I felt completely full and even had some leftovers for Tuesday's lunch. Tuesday = salad day. I used several of the same ingredients from Monday's meal and added some rice, corn, and avocado to switch it up a little. Since I prepped the rice and chickpeas in advance, this meal came together in no time. I literally just put everything in a bowl, prepped a light balsamic vinaigrette to go with it (balsamic vinegar, salt, pepper, and olive oil) and topped the whole thing with crushed tortilla chips for some extra crunch. It was surprisingly satisfying, TBH. 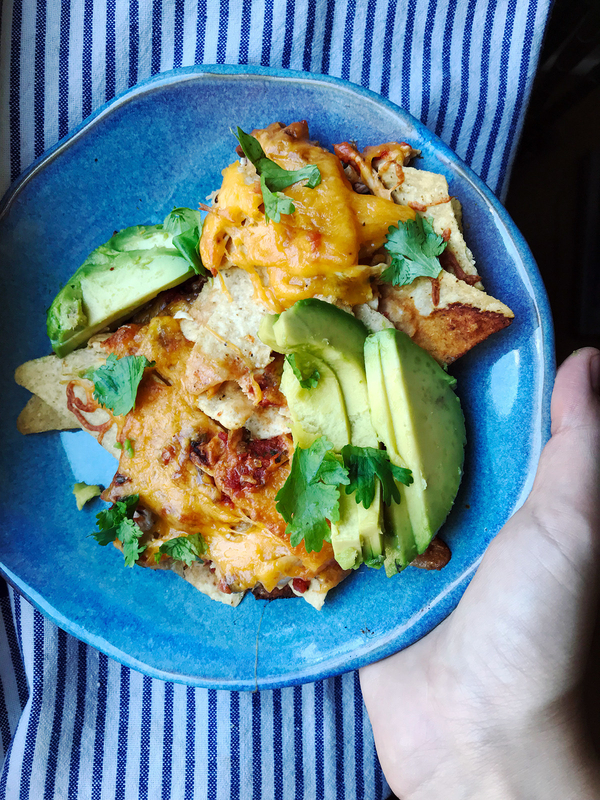 On Wednesday, I decided to ~indulge~ — and made some super cheesy nachos. 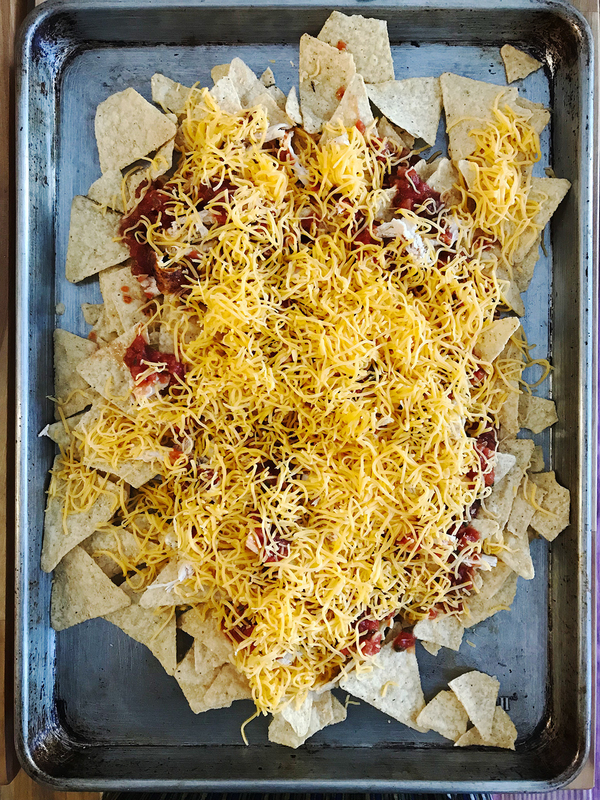 These came together in fifteen minutes, cooking time included: I just dropped the chips on a baking tray, topped them with shredded chicken, salsa, and cheese and baked it all for about ten minutes. I served it with some avocado and fresh cilantro. Sure, it wasn't the healthiest meal but sometimes you just need to treat yourself and this, my friends, was a treat. 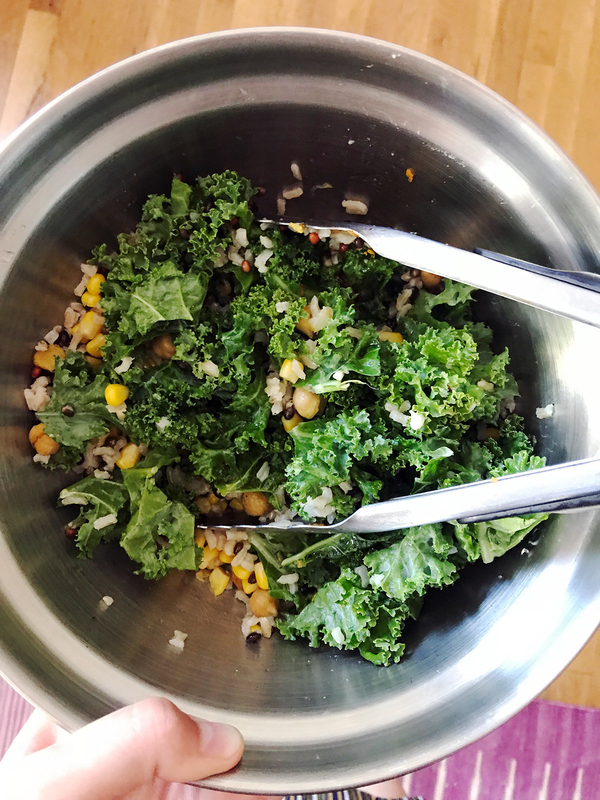 I had some corn leftover from the salad, the other half of the avocado I had used on Wednesday for the nacho — plus some rice, salsa and cheese. I put it all in a bowl, with the rice as a base and using the salsa as dressing. It honestly took about ten minutes to make this. It made for a lot of food and could have probably fed two people. This turned out to be my favorite meal of the week. The salsa was a great way to bind everything together and it all tasted delicious. This was the only vegetarian meal of the week. I had finished the chicken and wanted something easy and satisfying. 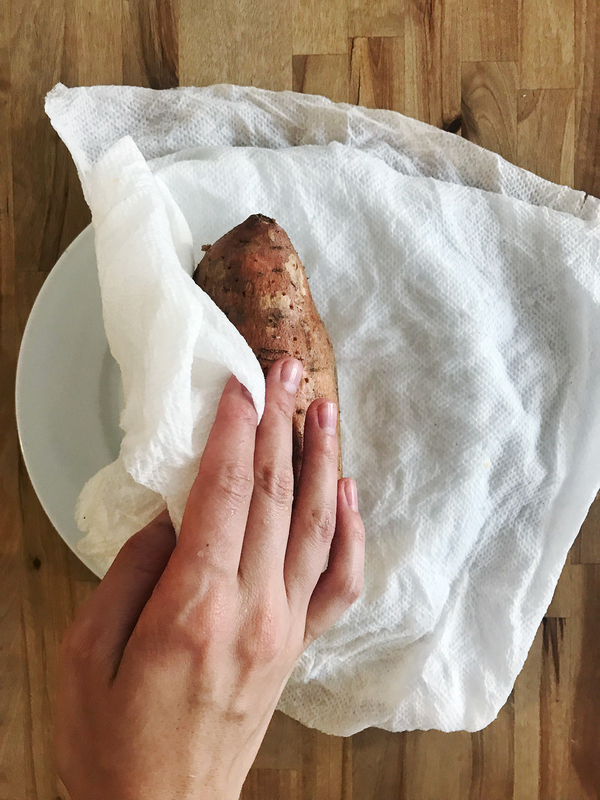 I didn't want to bake the potato in the oven because it always takes forever, so I used a microwave hack I learned online: Poke a few holes in the potato with a fork, wrap it in a wet paper towel, and microwave for 7 to 10 minutes (depending on the size of the potato) and voilà! The potato will be perfectly cooked. 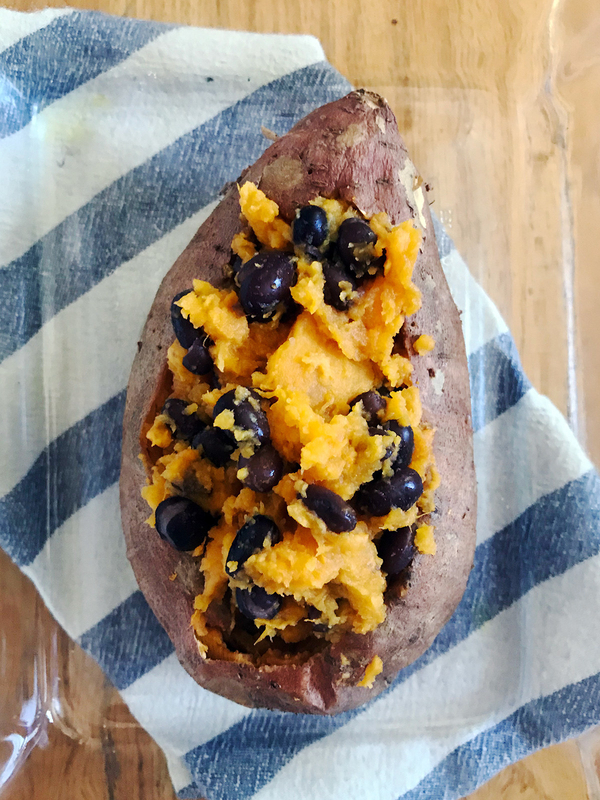 I carved it, mixed the potato flesh with some black beans, seasoned with salt and pepper, put it all back in the potato skin, and topped with a lot of cheese. I set my oven on "broil" and popped the potato in the oven for about 10 minutes, until the cheese had completely melted and started to turn brown. I ate it straight out of the oven, with half an avocado on the side. I mean, look at that cheese. It was (obviously) amazing. When I was told I needed to cook five dinners for $30, I felt both worried and bummed out. Worried because it seemed almost impossible considering NYC prices and what I spend in a normal week, and bummed out because to do that, I thought I'd have to make really boring and repetitive meals. But I was wrong on both counts. 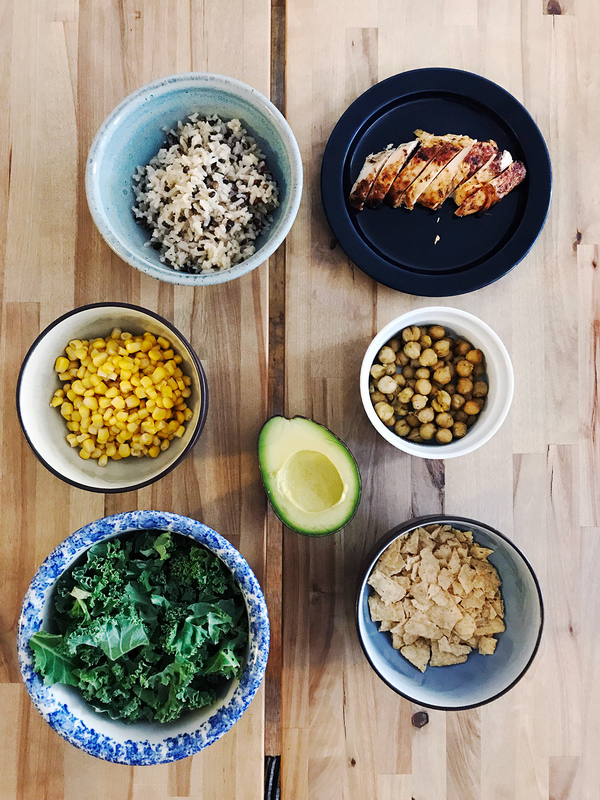 By really planning in advance instead of just going to the store with a vague idea in mind and letting my heart speak, I managed to create five very different meals on a small budget and with a limited set of ingredients. 1. 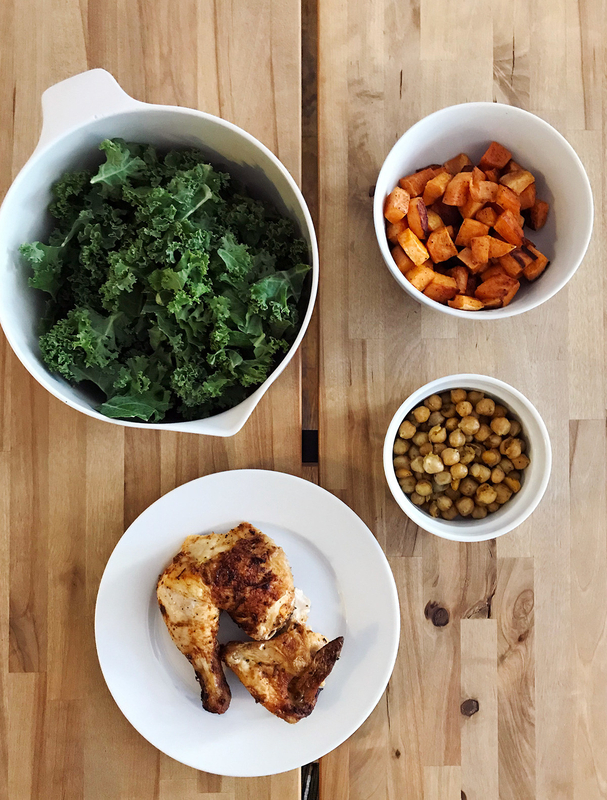 Figure out a cheap protein source and build at least a few of your meals around it. It doesn't have to be meat. It could be eggs, tofu, beans, chickpeas, or some other vegetarian source of protein. 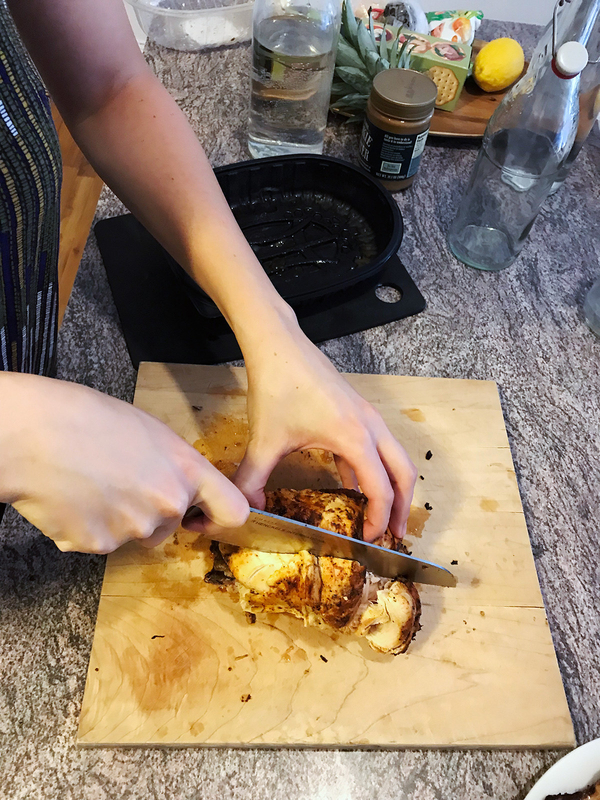 If, like me, you'd like to eat meat during your week, a rotisserie chicken is a great option! 2. Set a budget, make a grocery list, and stick to it. 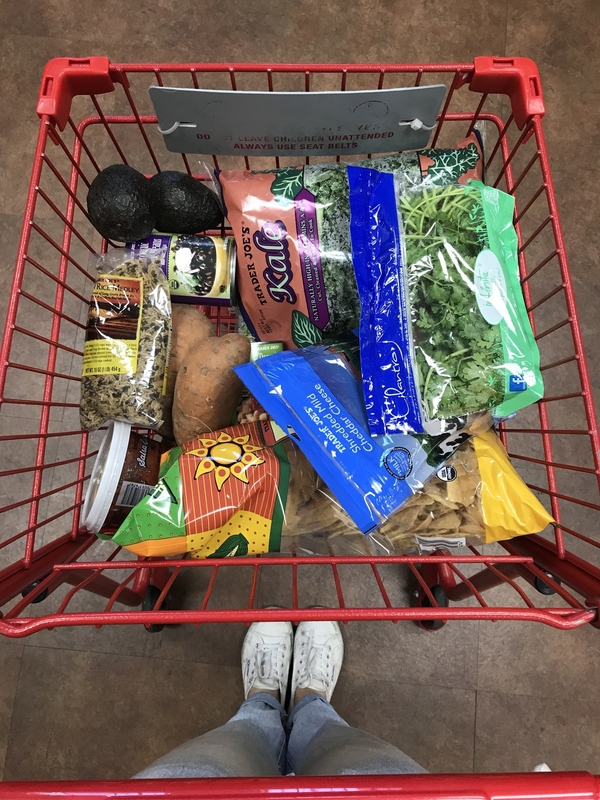 It's so tempting to start straying from your plan once you're at the grocery store, but be strong and stick to your list. And before you even go grocery shopping, do some research. A lot of grocery stores list their prices online. Check those out while you build your shopping list so that you can substitute one ingredient for another if it's too expensive. 3. Use each ingredient at least twice. 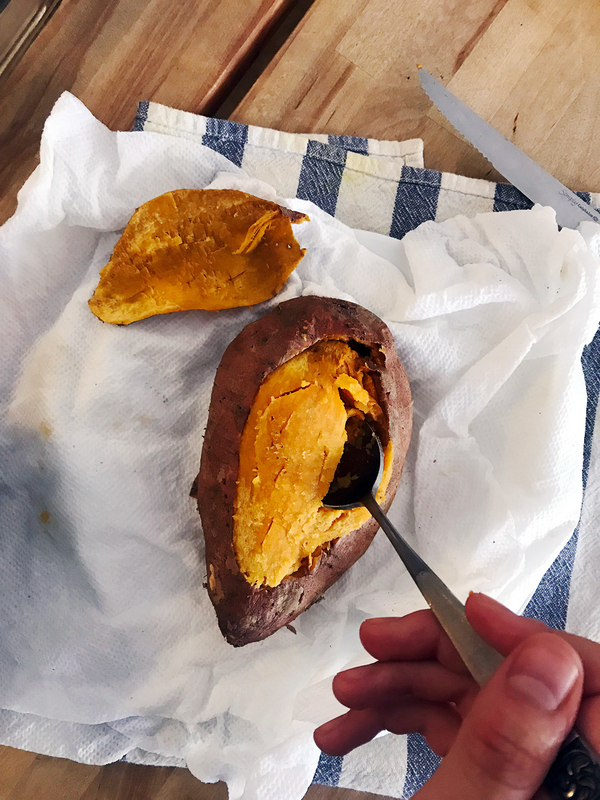 If there is any ingredient you're only planning on using once, see if you can include it in another meal. If you can't, just skip it or use something else. 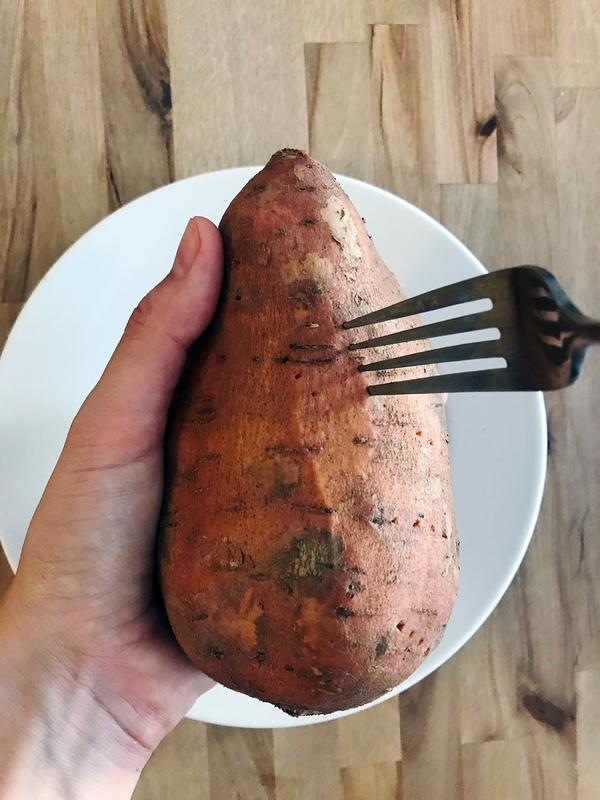 It may seem annoying but it's a great rule of thumb to ensure you're not wasting food or overspending. 4. Get creative! Necessity is the mother of invention. Don't see this challenge as a restriction but rather as an opportunity to think outside of the box and get creative in the kitchen.